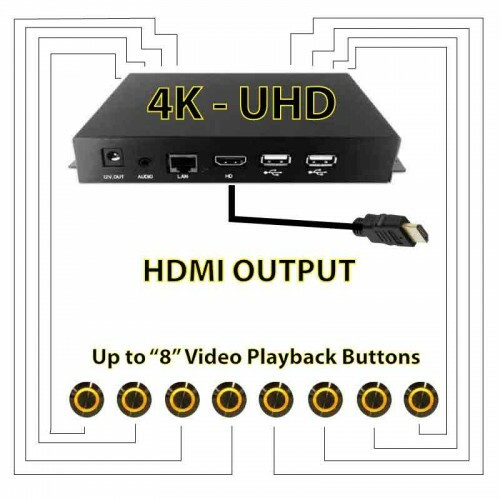 Ad players with HDMI and external LED buttons for playback. Self contained media players for digital signage displays. 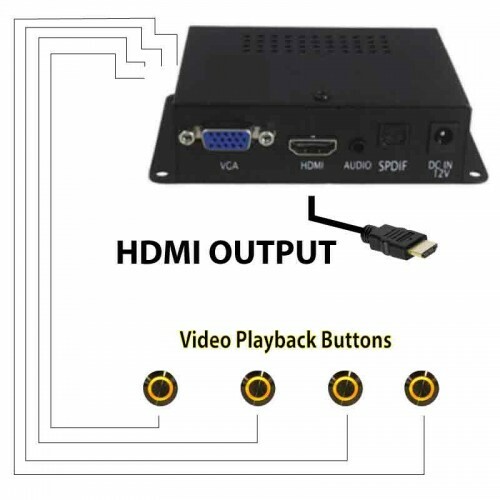 Easily connect these players through HDMI connectors. Most of the media players have advanced functions for multiple direct file playback buttons. End user approaches the POP display and is allowed to select the video by pressing a button. This allows the campaign manager to focus on multiple products in the same display. Available in 1080P and UHD-4K. Video playback can be presented on any LCD monitor you wish. DS12HD1 is an 1080P advertising player. 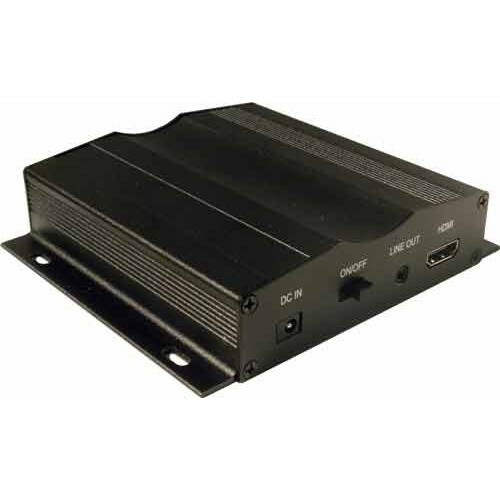 Extremely small footprint and HDMI output allows you to display marketing videos on any LCD display. High Definition! The DS12UHD4K is a stand alone Ultra high definition advertising player (UHD-4K) with an HDMI output. It allows content to play on any LCD Display with the HDMI output.